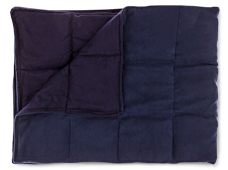 Gravity Weighted Blankets | Valet. Really Help You Sleep Better? Falling asleep can be a challenge—especially when we're all living busy, stressed and technologically dependent lives. Maybe you've read the books, or tried some sort of relaxation technique or even avoided caffeine in order to ensure quality sleep. But what if you could fall asleep faster and then sleep more soundly, without having to do a bunch of mental exercises or giving anything up? What if all you had to do was swap out the blanket you're sleeping under? (a savings of $90 off the retail price) to secure a Gravity blanket. They're set to arrive by October. That's the promise of Gravity, a new blanket blowing up Kickstarter (with more than two weeks to go, they've exceeded their initial $21,500 goal by over $3 million). 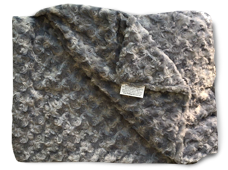 Utilizing the same type of weighted blanket technology the medical industry and hospitals have been using for years, it works to reduce stress while boosting relaxation and minimizing movement. Scientifically speaking, Gravity uses the power of "proprioceptive input" (more commonly known as "deep touch pressure stimulation"), a well regarded therapeutic method that stimulates pressure points on the body linked to improved sleep and mood. Engineered to be around 10% of your body weight, Gravity helps relax the nervous system by simulating the feeling of being held or hugged. Being touched in all the right places actually increases serotonin and melatonin levels and decreases cortisol (stress hormone) levels. This instantly improves your mood and promotes more restful sleep—all without ever popping a pill. One reviewer called it "like Advil PM for your whole body." 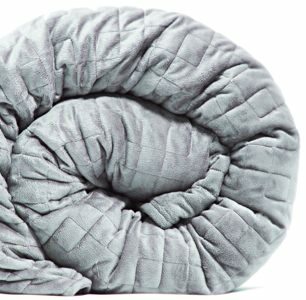 Where Gravity differs from other weighted blankets is the unique tailoring to the body. 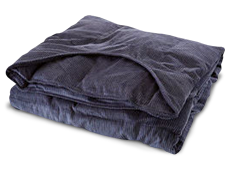 To work effectively, the blanket should be around 10% of your body weight, which is why they offer 15, 20 and 25 pound options. You choose the right one for your bodyweight. What's more, the weighted pellets aren't just randomly sewn into the lining. The grid-like pattern on the breathable blanket is based off of renderings of gravity planes used to target pressure points throughout your body. Sound good? Pre-order now for a discount off the eventual retail price. Pledge $189 (a savings of $90 off the retail price) to secure a Gravity blanket. They're set to arrive by October. There are other, perhaps less-advanced weighted blankets worth trying. Not all pillows are created equal. Choose the right one for a great night's sleep.